CBS is shuffling the deck for the 2016 spring season. Today, the network released their midseason schedule, complete with premiere dates and schedule changes. New shows include Rush Hour and Criminal Minds: Beyond Borders. The new schedule begins the first week of March, with two special Wednesday airings of CSI: Cyber on March 2nd and 9th, at 10 p.m. Then, Criminal Minds: Beyond Borders will take over the Wednesday at 10 p.m. slot with its official premiere on March 16th. CBS’s other new spring series, Rush Hour, will premiere on March 31st, at 10 p.m. The series is a TV spin-off of the popular film franchise starring Jackie Chan and Chris Tucker. Additionally, CBS is moving Elementary from Thursdays to Sundays at 10 p.m beginning March 20th. What do you think? Will you watch either Rush Hour or Criminal Minds: Beyond Borders? What do you think of Elementary moving to Sundays? 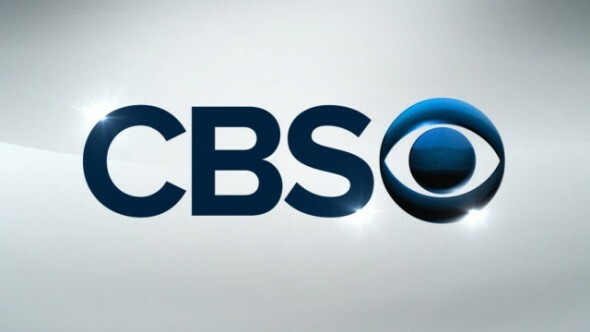 More about: CBS TV shows: canceled or renewed?, CSI: Cyber, CSI: Cyber: canceled or renewed?, Elementary, Elementary: canceled or renewed?, Rush Hour, Rush Hour: canceled or renewed? I’ve enjoyed CSI Cyber. I’m saddened by Ted Danson’s departure. CBS doesn’t care if people really like a show or not. They cancelled Mike and Molly with a lame excuse which is untrue. Now they’re dumping CSI Cyber which I love and Elementary will be next because they’re putting it on Sunday nights which will doom the show. Come on CBS stop dumping the good stuff for crap. Yes I agree with you, but in an interview with Melissa McCarthy she stated that she was having too much fun making movies right now and didn’t have enough time to also do season of Mike and Molly she also stated that she would love to do more seasons of Mike and Molly at a later time when she is not so busy with movies, clothing line and of course family. I look forward to Thursday evening and Elementary. Why mess with a good thing? I cannot help that Good Wife has run its course and CBS is trying to “save” it. Where is PERSON OF INTEREST????? CBS is like a bad boyfriend. They can’t live it but they won’t set it free either. Elementary moved to 10pm Sunday night?, the next shift will be cancellation. Great! That would make JLM free to become The Doctor when Peter Capaldi leaves next year. What about not only Person of Interest? Also Code Black too? Why move them in the first place? Every time they move a show it means that show is danger of begin cancelled. I am not happy at about these changes. Get rid of CSI Cyber, NCIS New Orleans and Scorpion, bring back Battle Creek! Not. Three great shows. No one cares about Battle Creek. Reality? PLEASE!!! I am SO sick of they way they magically jet around the country in an hours time as well as perform hours of laborious technical work in mere minutes. Furthest thing FROM reality… complete fiction! In case you didn’t notice, shows like #1 NCIS, etc. get DNA tests and mass-spec results back while solving a murder..all in an hours time. Well, NCIS is pure fiction too. No more realistic than Supergirl.